Professionals at air duct companies must be experienced, plus use procedures and materials that protect people and pets from contamination, and not the other way around. At our major company only the best professionals are hired who are fully dedicated to serving all customer issues and needs. 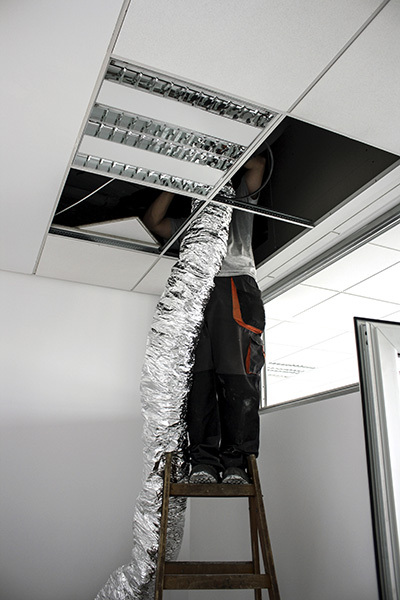 Professional air duct cleaning involves different steps. You can check if the service provider does all of these. Expect them to open doors and open access, allowing the entire system to be inspected and cleaned. Before cleaning, the system should contain asbestos-free materials for these should not be handled by untrained contractors. Vacuum equipment is used to exhaust particles out of the home, but if the particles are exhausted in the home, HEPA equipment should be used. The carpet and home furnishings should be protected, and duct surfaces brushed in a well-controlled manner. The sheet metal ducts and fiberglass duct board is brushed with soft bristles, duct work is protected, especially the sealing to make sure it is airtight. According to the experts from Air Duct Cleaning in Concord, customers should verify the cleanliness of the heating and cooling system. All parts should be visible plus the cleaner should have access to the entire system and verify the duct work is clean, including the space where the supply and return air mixes or moves. Check if the surface of the heat exchanger is clean, as well as the sides of the cooling coil. The latter can be proven by pointing a flashlight into the coil and if light shines, it means it is clean. The coil fins must be straight, even in space while the drain pan should be draining correctly. The blower and plenums of the cooling system must be free of oil, dust or debris. Filters should fit properly, the metal ducts free of debris, and the fiber glass in good condition. The access doors should be properly attached as well as the registers, diffusers and grilles, while leaks should not exist. Before the HVAC air duct cleaners leave your home, make sure to check if the system functions properly in both heating and cooling modes.